Dr. Thomas Speer began his sleep medicine practice in Houston at the Diagnostic Clinic in 1992. He was the director of the Institute of Sleep Medicine at the Diagnostic Clinic and has served as the director of Sleep Centers of Texas. For the past ten years, he has had his own practice in behavioral psychology, focusing on CPAP (continuous positive airway pressure) therapy for sleep apnea and other therapies for insomnia (cognitive behavioral therapy  insomnia), CPAP desensitization and support, and circadian rhythm disorders, including bright-light therapy. Dr. Speer grew up in Ohio and received his undergraduate degree from Ohio State University. He attended Duke University after a stint as an officer in the Army and received a master's degree in ethics. He completed his doctoral work in psychology at the University of Toledo where he began a psychology practice and became interested in sleep disorders. Dr. Speer did his post-doctoral training in Michigan at the Henry Ford Sleep and Research Center and received further training in sleep medicine at Stanford University. He believes that each person's overall well-being is linked to the quality and quantity of his/her sleep and considers most sleep problems to be a chronic pattern requiring persistent and repeated intervention. Dr. Speer specializes in the interpretation of polysomnographic evaluations of clinical sleep disorders, assessing many complex factors in each patient's life, including past sleep behaviors, medical history, and the daily sleep/wake rhythm. He is interested in integrating current practices and theories in sleep research, behavioral health, pharmacotherapy, and medical device therapies into individualized recommendations and treatment plans. 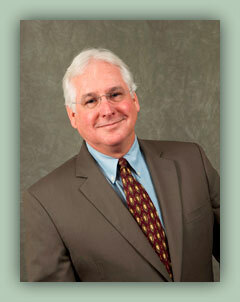 Dr. Speer has been associated with River Oaks Doctors Group since its inception. He evaluates patients for all clinical sleep disorders and manages their CPAP therapy, makes home visits, and does preoperative sleep evaluations to facilitate recovery from surgery and other chronic illnesses. Dr. Speer is a Fellow of the American Academy of Sleep Medicine and has been an accreditation site visitor for the Academy since 2007. He is board certified by the American Board of Sleep Medicine and is licensed as a psychologist by the Texas State Board of Examiners of Psychologists.